I’ve saved myself, now how are we going to save everyone else in Santa Barbara County? I don’t think I’m alone in all this. When you are the recipient (or mock recipient in my case) of federal benefits aimed at the 45 million Americans living below the poverty line, you generally don’t have the time or energy to look at the big picture, about how we might improve the health and outlook of those struggling millions. 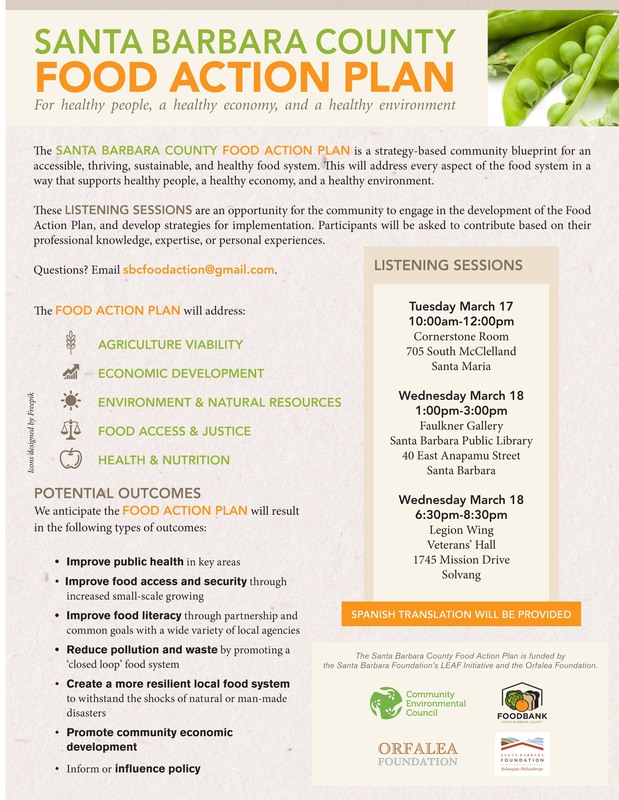 Too bad, because I have been eating healthily this past four weeks and I DO have the energy to pull out a bigger picture, or at least one that extends to how we can make the food system work better within Santa Barbara County. 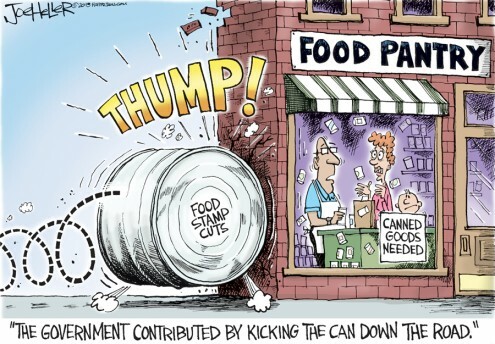 This post is not about taking on the Federal benefits machine in order to preserve the modest food stamp benefits. (Although I am sitting on a plane to DC as I write, to attend an anti-hunger and lobbying meeting to do just that). 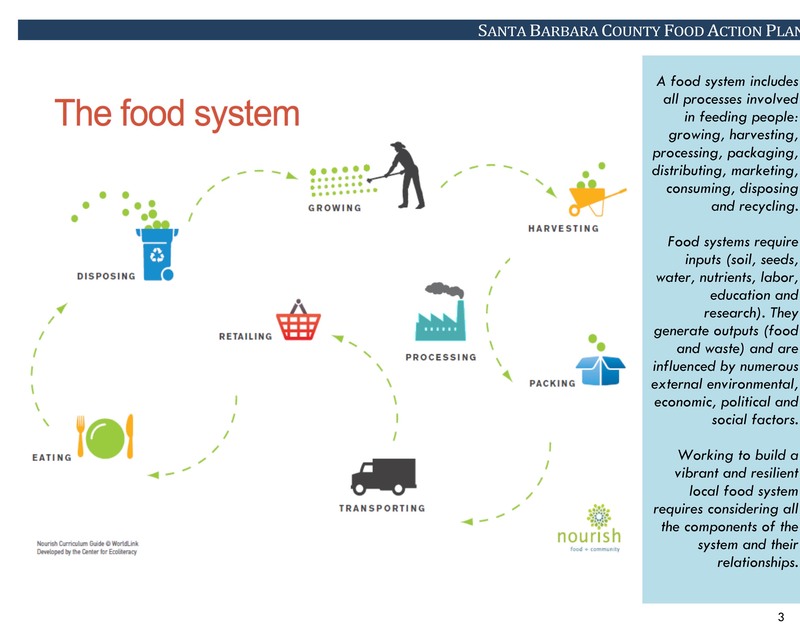 Rather I am talking about how food is produced, processed, distributed, consumed and disposed of in SB County. 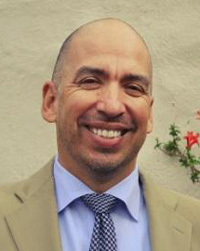 The Foodbank has partnered with fellow nonprofit, the Community Environmental Council (CEC) and two foundations, Orfalea Foundation and the Santa Barbara Foundation to work with a wide range of local people with an interest in the food system to create the first comprehensive plan for how to improve access, justice, sustainability, economic development and environmental health as it relates to SB County. And as we are in the top 1% of agricultural producing counties in America, if we’re going to bolster the economy and create jobs, its going to come from food. We have farmers, politicians, members of the business and education communities, experts and regular folk like you or me, and the exciting part of the process is that we want to hear what you have to say. Check out the information about countywide listening sessions at the bottom of this post. Along with Sharyn Main from the SB Foundation and Barbara Andersen and Kathleen DeChadenedes from Orfalea, my non-profit partner in crime (healthy, sustainable crime) on the Food Action Plan is Sigrid Wright, Deputy Director of CEC, who is not only doing a great job in helping to make this plan a reality, but is also joining me on the Food Security Challenge for a week. 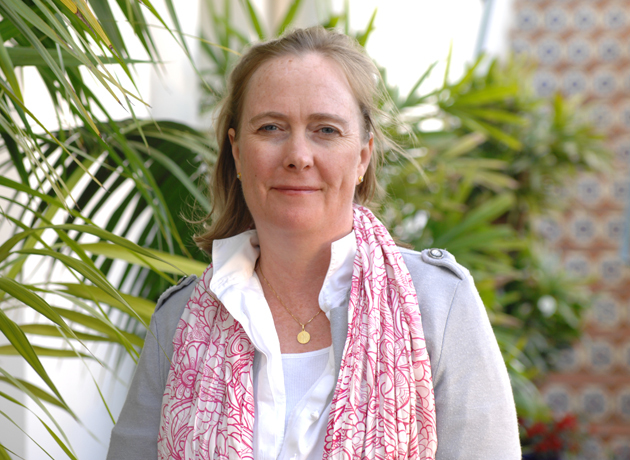 So thanks to Sigrid for risking the tummy rumbles and also to Ernesto Paredes, Executive Director of Easy Lift, who also did a week on the food security challenge last week, and shared his experiences on Facebook. It’s great that these two have stepped up and provided the type of walk-the-talk encouragement that is a big help. Let’s face it, folks the ice bucket challenge is chilly but it’s over in two seconds. Here is the info about the listening sessions. Please attend and tell us your ideas, and tell your friends too. People listening as well as talking! That’s a novelty you’d be crazy to pass up.